Dr Conall Dennedy is a Consultant Endocrinologist at Galway University Hospital and also holds an academic post as a Senior Lecturer in Therapeutics at NUI Galway. 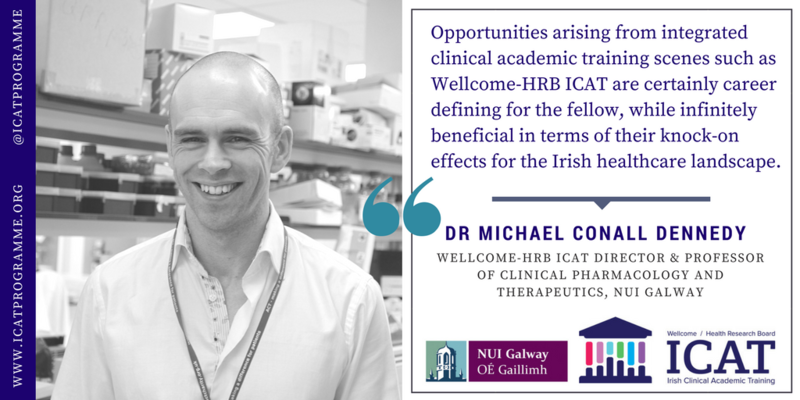 His research interests are focused on the pathogenesis and treatment of functional adrenal tumours, and he is affiliated with the CÚRAM Centre for Research in Medical Devices in Galway. Dr Dennedy trained within an integrated academic clinician programme (HSE/HRB National SpR Academic Fellowship Programme). Dr Dennedy is the Deputy Director of the Wellcome-HRB ICAT Programme.